Hat has tears and areas of wear but this is original done with the intent of making the item look used in battle. Used as a promotional item and handed out at PAX Prime 2012 and other venues. Game never released. 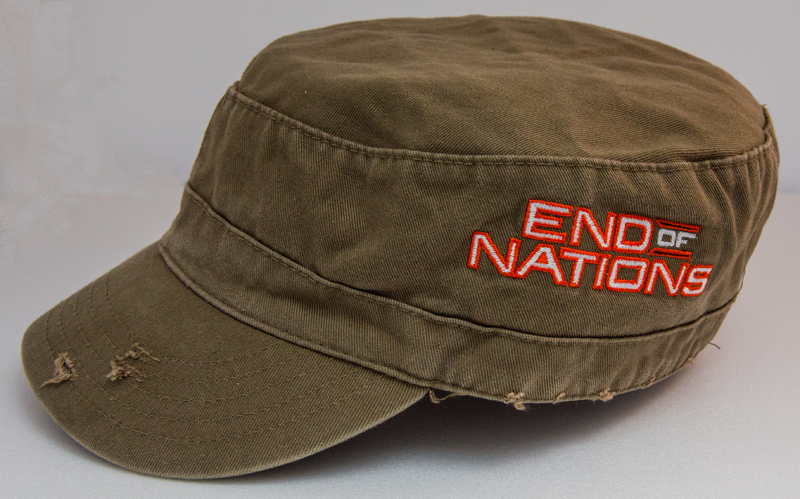 Trion Worlds inc., “End of Nations army cap,” Digital Game Museum Collection, accessed April 24, 2019, https://www.digitalgamemuseum.org/collection/items/show/1104.